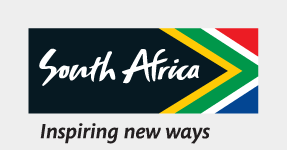 South African Tourism board has selected Tourism KwaZulu-Natal as the successful bidder to host the newly rebranded Africa’s Travel Indaba for the next five years following a comprehensive bidding process which started with an expression of interest to all provinces. This was announced by President Jacob Zuma during the official opening of South African Tourism’s annual travel show, Indaba, which is taking place at the Inkosi Albert Luthuli International Convention Centre (ICC) in Durban from 16 to 18 May 2017. The decision means that the newly renamed Africa’s Travel Indaba will be hosted by KwaZulu-Natal and Durban at the Inkosi Albert Luthuli ICC through a province-city partnership in May every year for the next five years, with an option to extend the hosting agreement for another five years. The work begins now, between South African Tourism and Tourism Kwa Zulu-Natal preparing for Africa’s Travel Indaba 2018 and beyond!